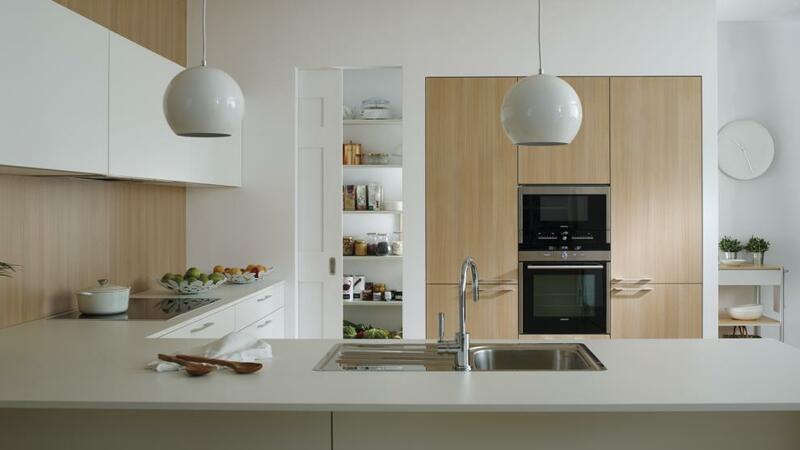 In this kitchen everything is designed to make work easier but also to convert it into the centre of the home. Thanks to the kitchen’s distribution and the visual warmth it transmits it has become the room to have family reunions, a perfect place to enjoy life without leaving the home. Santos avoids doors in the base units, instead it uses three levels of drawers. 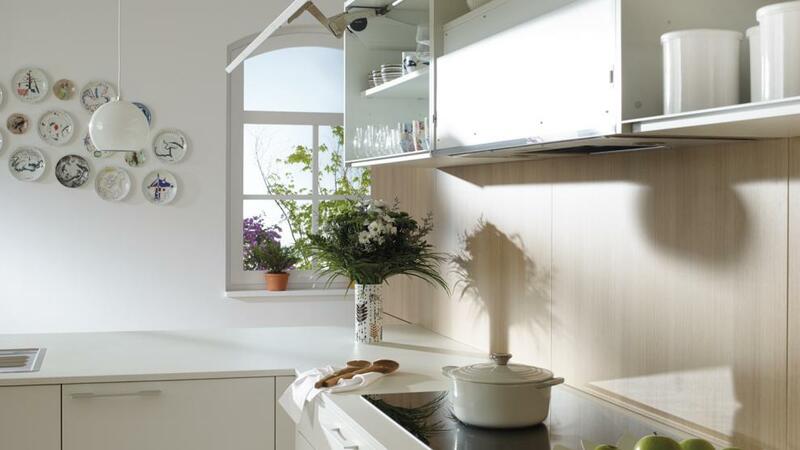 This system provides a panoramic view of what is inside the drawers and makes accessing the contents easier, thereby making it more comfortable to cook and clean. 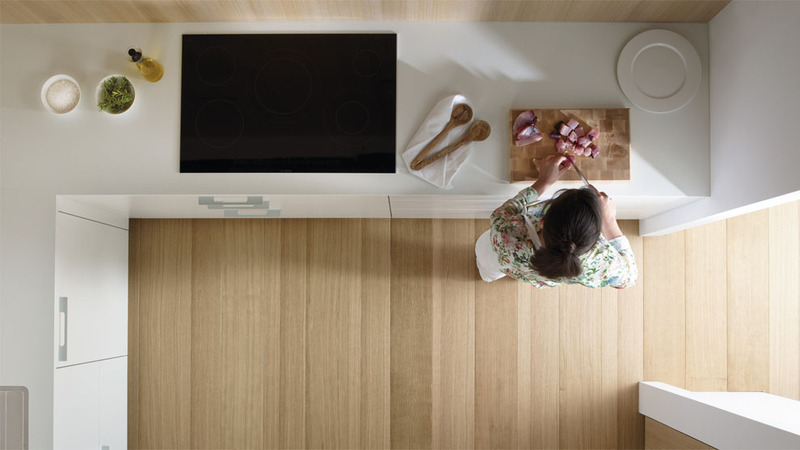 The U distribution creates a central space that does not interfere with movements in the kitchen. 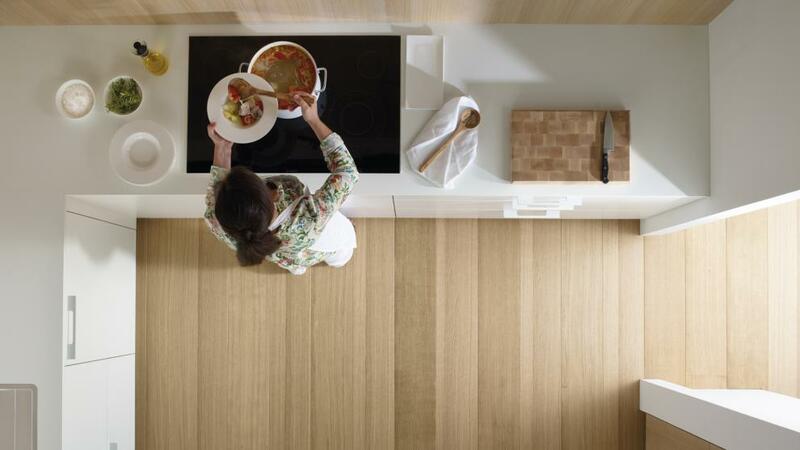 The extended worktop, provides an extra space for informal meals or breakfasts. 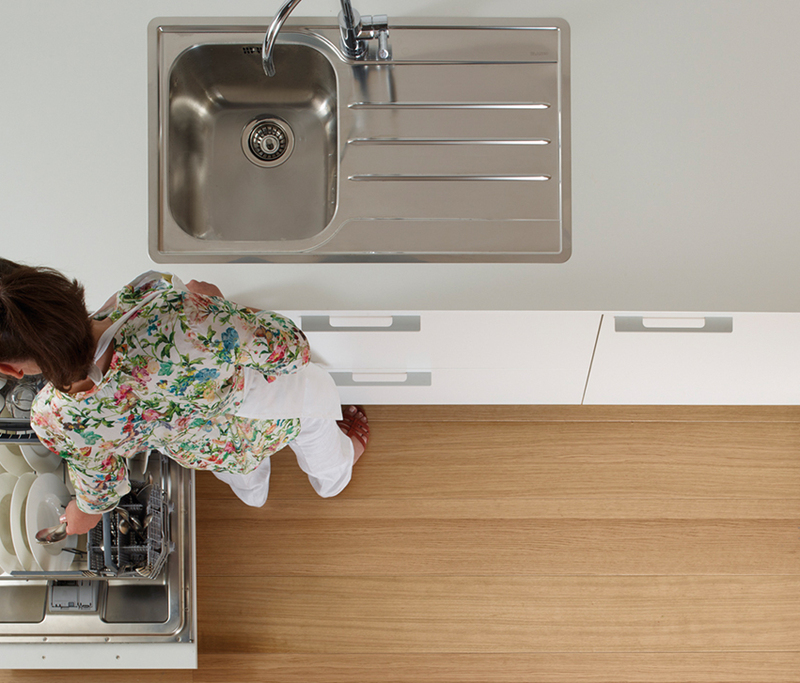 The washing-up area, situated on the peninsula, includes a totally integrated dishwasher. 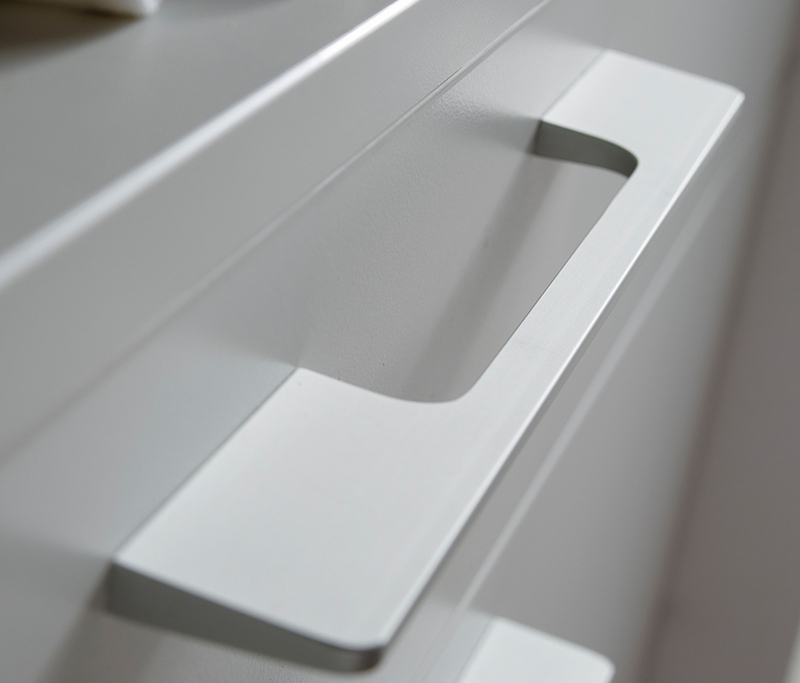 Santos has handles that have been designed in-house to make the kitchen user’s work easier, both in terms of accessing the inside of the units and cleaning the fronts. 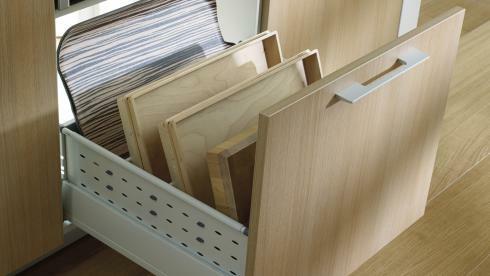 Santos designs very resistant solutions that optimise space and help with recycling. 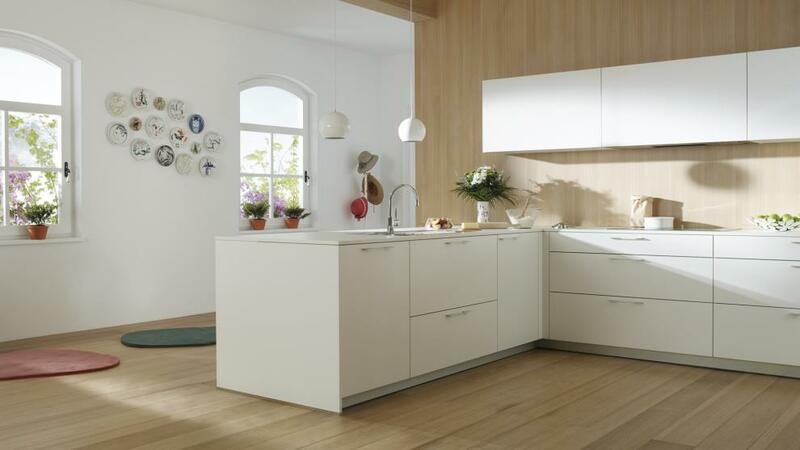 Apart from integrating the ovens and the fridge, the tall units offer plenty of storage space. The lower part is equipped with Santos’ new interior drawers which permit easy access so goods can be found quickly. Santos produces the drawer’s fronts in the same material and colour as the unit’s structure, this unifies the colours and the materials in the unit’s interior. 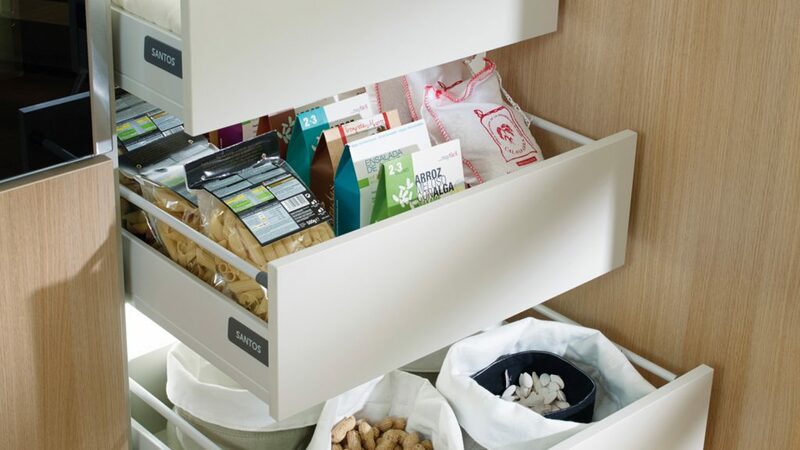 In contrast to conventional interior drawers this new solution offers fronts that are higher and help avoid the contents from falling out. 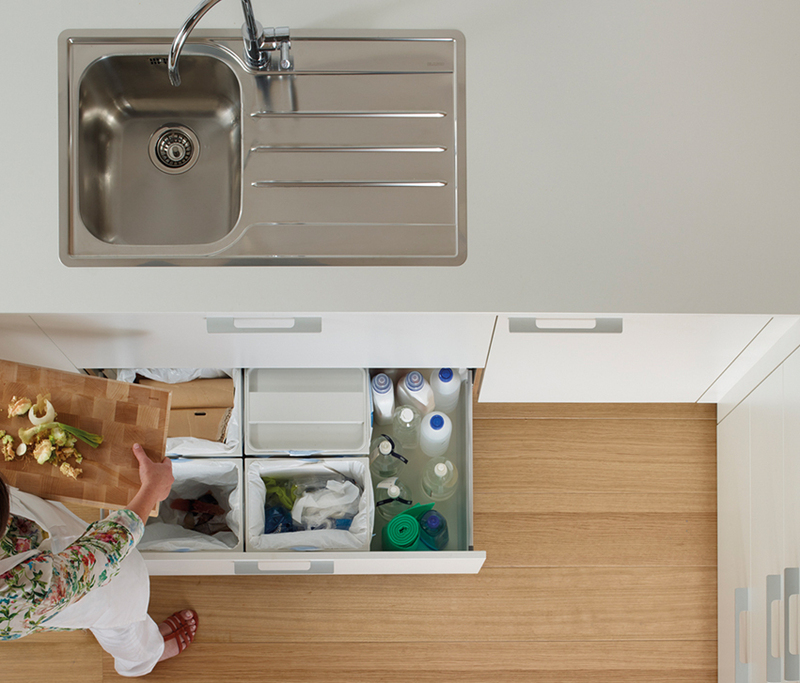 The dimensions and depth of the bottom drawer of an oven unit make it a very versatile space for storing large items such as trays or bottles. In the wall units with swing-up doors, the door can be kept open in any position so that it doesn’t interfere with the work at hand. The continuous profile system allows the unit to be opened at any point. 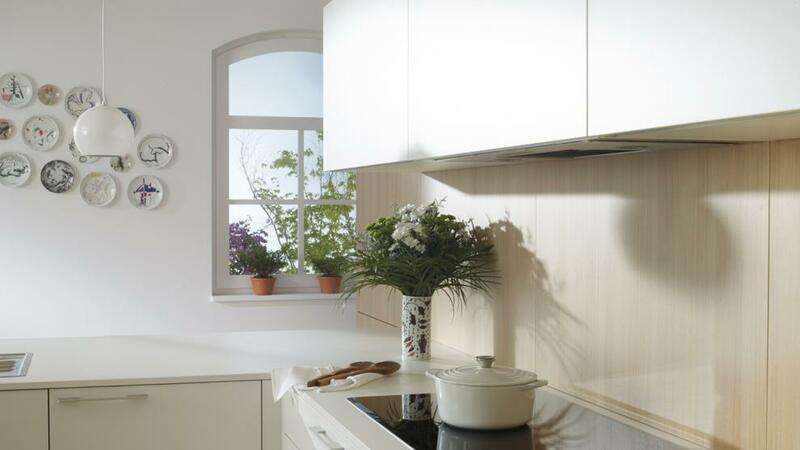 The canopy hood, apart from being a more discrete system for absorbing cooking fumes than the traditional kitchen hoods, offers an additional storage area.